By request, here are some fancy drink glasses, and as a bonus I've included party favors! 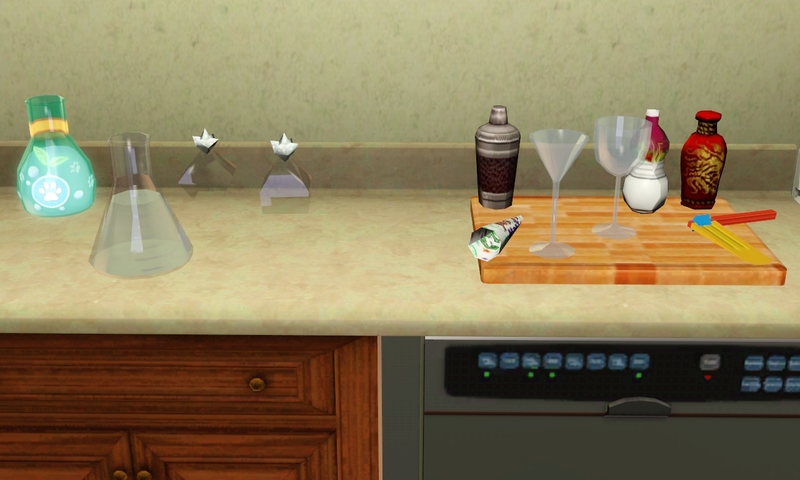 The .zip file includes everything pictured above except for the cutting board, counters, walls, & dishwasher. These are decorative objects. They can be placed on tables, counters, the floor, terrain, shelves or the dishes that I made if you so wish.